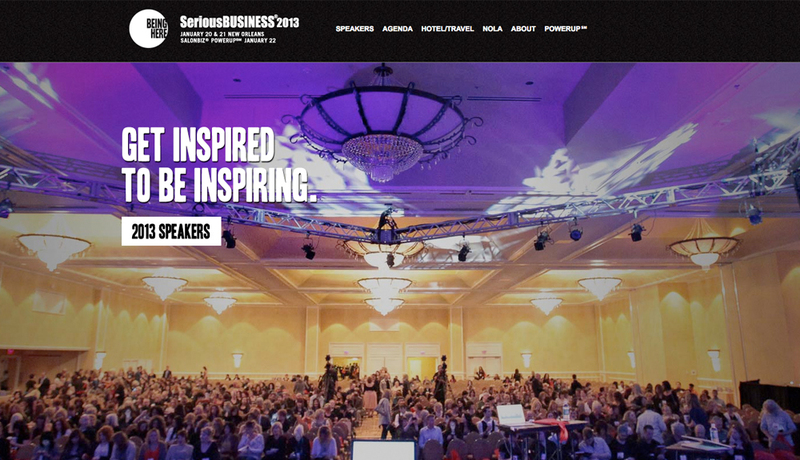 Serious Business® is one of the most celebrated business education events in the beauty industry. It combines inspiration, education and wisdom from some of the world's most innovative thinkers. The purpose of Serious Business® is to invoke thought and insight and expose people to new ideas and thinking on self-development and business resulting in helping people and businesses reach their full potential. Challenge: Serious Business® is an annual event with an ever-changing dynamic but a consistent purpose, targeted to the same group of beauty professionals year after year. 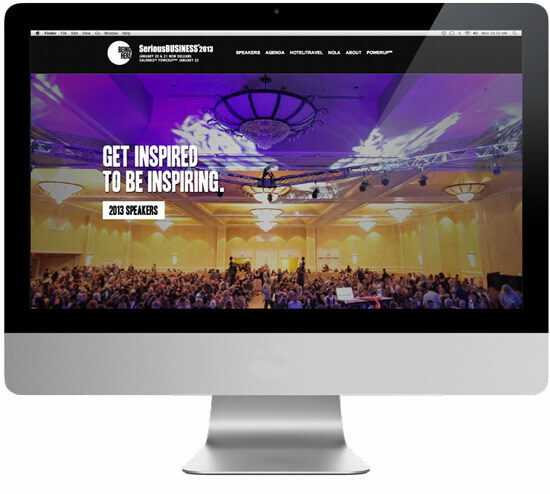 Imaginal’s mission for the 2013 event was a series of dichotomies: keep the meaning, but change the message; maintain brand recognition, but excite the customer with something new; speak to professionalism, but know that the fashion-forward audience is turned off if there’s no edge. Solution: The theme for 2013, “Being Here,” speaks to everyone’s need to be present in their business and their lives even though there’s constant pressure and need to be in multiple places at once. Tweet, update, email, pin, call, text – it’s harder and harder to be fully engaged with the people who are actually in your presence. 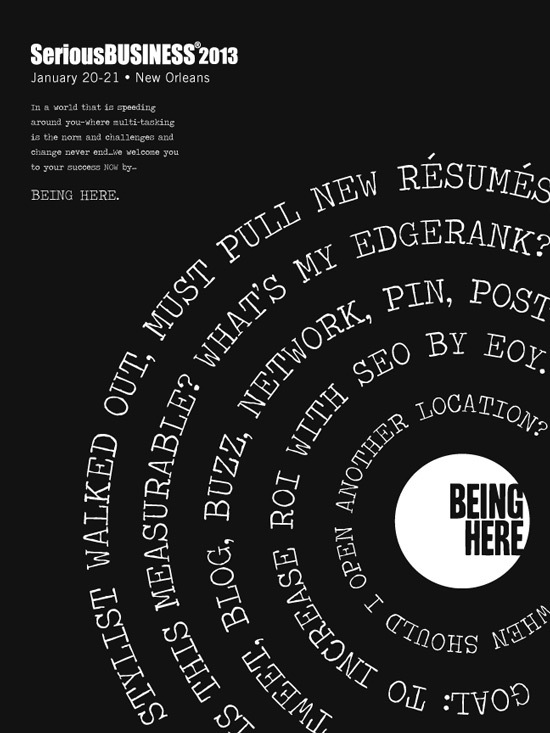 Imaginal created a black and white spiral graphic with a central focus of “Being Here” – reiterating the message of finding your place in the midst of madness. The clean black and white theme was consistent across all pieces – creating a refreshingly clear message that cut through clutter by being clutterless. Results: Serious Business® sold out.